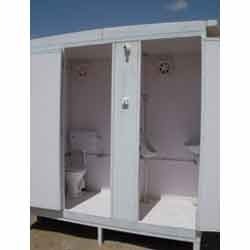 Leading Manufacturer of modular toilet (also for handicap), toilet module and toilet bunks from Jodhpur. We are one of the leading organizations engaged in manufacturing and offering Toilet Module. Offered range of toilet modules are manufactured by using high-grade material and employing latest technology & machines. While manufacturing these toilet modules, our professionals make sure to follow the established norms and standards of the industry. We also offer custom-built range of these toilet modules, as per the requirement of the patrons. With firm commitment to quality, we are engaged in manufacturing and trading superior quality Toilet Bunks. The modules we are offering are manufactured by using modern machines and high quality fiberglass panels procured from the authentic vendors of the market. 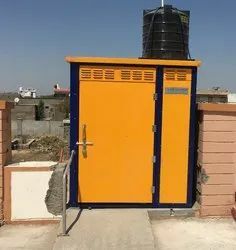 In addition to this, our professionals strictly follow the established norms and guidelines of the industry while manufacturing these toilet modules. We also offer these modules in customized range as per the need of the clients. Looking for Portable Toilets & MODULAR TOILETS ?